Easily grown, urban tolerant plant with lovely ornamental features that performs well in well drained soils. 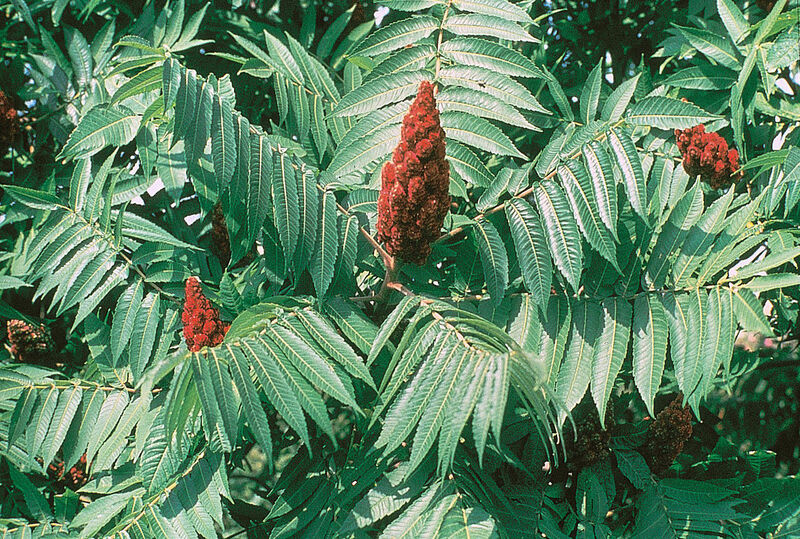 An open, spreading shrub/small tree that typically grows 15-25’ tall with pretty autumnal yellow/red foliage and ornamental fruit clusters which are attractive to wildlife. Tiny, greenish-yellow flowers bloom in late spring to early summer developing into large, hairy red fruits. Good for dry, informal areas where it can be allowed to spread with some nice ornamental characteristics.